e-Fuel vs Vega Clean Energy | Sports Drink Comparison | And the winner is? 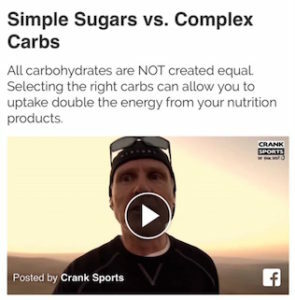 Watch this short video (right) to see why the complex carbohydrates in e-Fuel can provide you with significantly more energy. According to WebMD: Stevia (found in Vega Clean Energy) and chemicals contained in stevia, including stevioside and rebaudioside A, can cause bloating or nausea. Other people have reported feelings of dizziness, muscle pain, and numbness. Using ingredients that cause stomach distress is the last thing that an athlete would want to deal with, so none of these ingredients are found in e-Fuel or e-Gel. Citrates assist in the carbohydrate to energy conversion process as well as reduce and slow the build-up of lactic acid in your muscles. 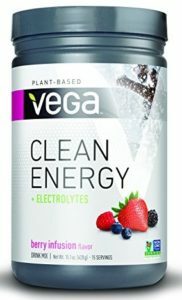 Vega Clean Energy does not provide any citrates. Antioxidant vitamins C and E help protect against tissue damage, reduce soreness and aid in the recovery process. Vega Clean Energy provides negligible levels of antioxidant vitamin C.